Fingal is a new jailbreak tweak that aims to bring the world of animated live icons to the iOS Home screen on your iPhone, iPad, or iPod touch. iOS doesn’t support animated app icons for third-party apps. Apple though does have some stock apps like the Clock one for example which shows real live time right on the app’s icon. Fingal wants to change all that by bringing live animated app icons to just about any app out there. Fingal by itself is not a theme, but a platform of sorts that basically enables users to install various animated app icon theme packs from Cydia. The tweak’s success largely depends on developers releasing theme packages for it. Once you have the Fingal tweak installed, it resides in the main Settings.app, from where you can enable different icon themes. All Fingal themes that you download from Cydia will be visible in the Fingal settings here. The animations are simple GIF files, and whether this greatly affects the battery life of the iPhone, iPad or iPod touch they are enabled on remains to be seen, but we wouldn’t be surprised if it does. At this point in time, not many themes are available for it. The good thing though is that it does come bundled with a very basic theme supporting some of the most popular apps found on most devices. If that does not tickle your fancy, you can try searching for “ShakeIt” and “ShakeIt Plus” themes in the Cydia store. They are available for free and pack support for up to 19 app icons. What Fingal could eventually achieve is the move by theme developers to offer animated icon packs as an add-on for their existing WinterBoard-based themes. 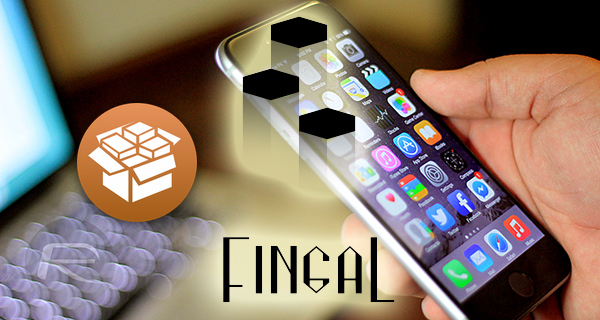 Fingal is compatible with both iOS 9 and iOS 8 devices, and can be downloaded for free right now from the ModMyi repo in Cydia. Sadly it doesn’t work combine to Aeternum….